This printable, downloadable handout was created for elementary school students at Elementary (A1) level. 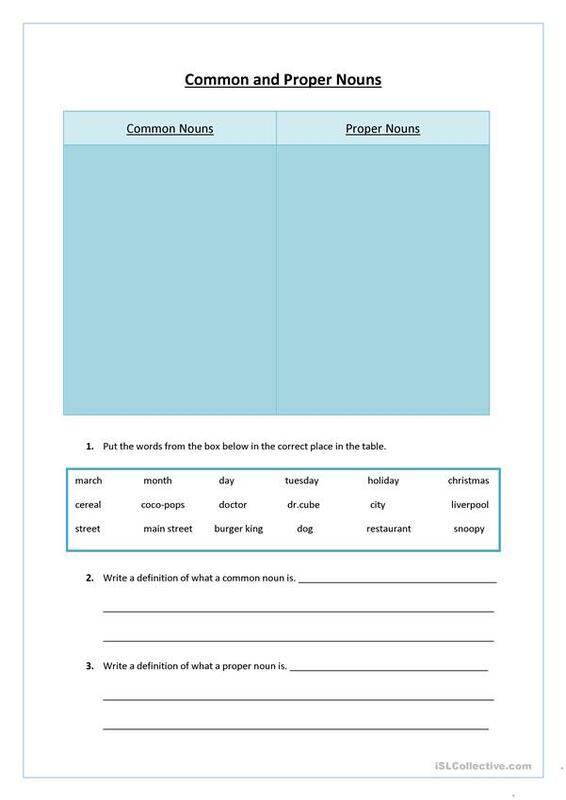 It is valuable for consolidating Nouns and Nouns: Proper nouns (names of people, cities, companies) in English, and is useful for strengthening your learners' Reading skills. princessfee is from/lives in United Kingdom and has been a member of iSLCollective since 2011-09-25 21:41:55. princessfee last logged in on 2011-10-03 22:07:13, and has shared 1 resources on iSLCollective so far.